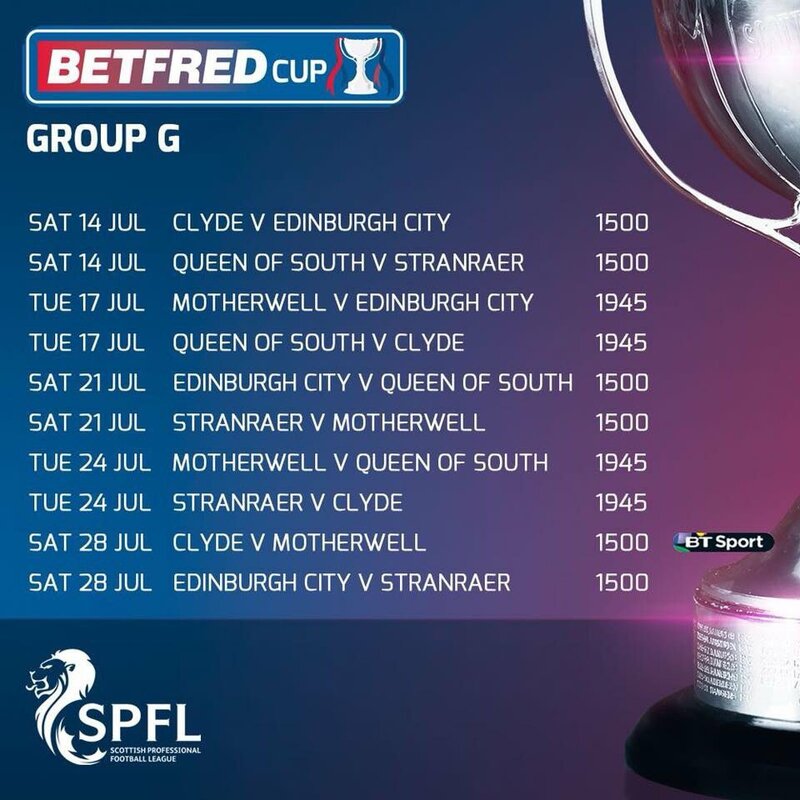 Queens got their 2018-19 season off to a winning start as they got the better of near neighbours Stranraer in the opening game of this seasons Betfred Cup competition, but it wasn`t the comfortable win that many were predicting as the visitors more than matched the hosts for large spells of the game, and in fact much to the surprise of many in attendance it was Stranraer who made the better start and raced into an early two goal lead. The game turned in Queens favour during a hectic 4 minute spell just before the interval when they scored three times to take a half-time lead, and although both teams scored again in the second period, Queens did just enough to hold on to claim the points. 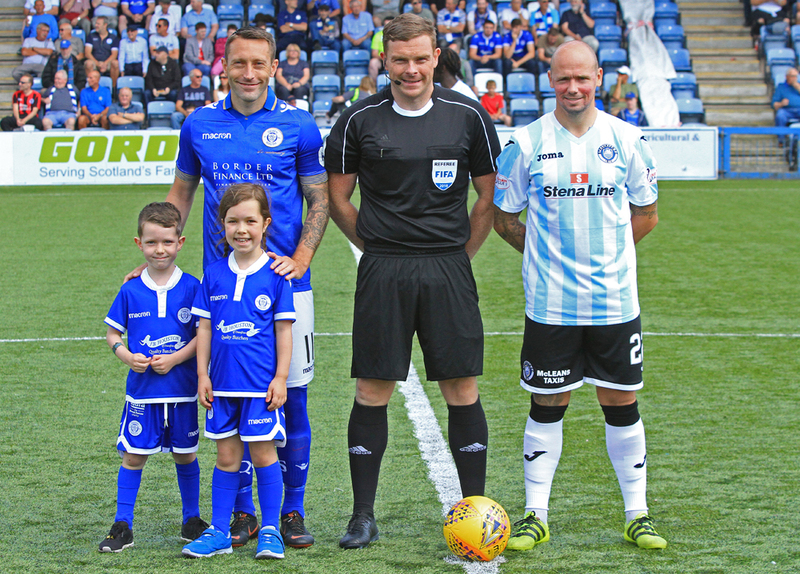 Following a decent pre-season campaign, Queens looked to continue with their good early form and new signings Gary Harkins,and Michael Doyle, made their competitive debuts, whilst loan signing Callum Semple started his spell as a Queens player on the bench. Summer signing Josh Todd, also started on the bench as Queens began the campaign lining up in a 4-4-2 formation. The game began with Queens attacking the Portland Drive end but in the opening minutes it was the visitors who were doing most of the attacking and they had strong claims for a penalty in only 90 seconds when Donnelly appeared to be pushed aside, but although that decision wasn`t beneficial for them, on just 4 minutes they were celebrating the game`s opening goal. After winning their first corner,a deep delivery to the far post from ex- Queens man Anderson eluded every Queens player,and waiting unmarked was full-back McGowan who powered a header past Jack Leighfield. 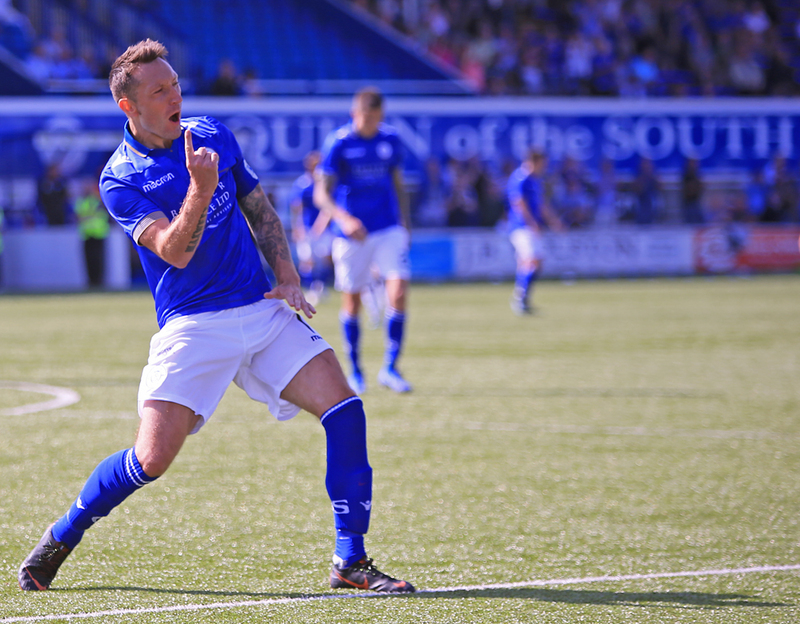 It was a bright start for Stranraer and with the home side struggling to cope with both Layne, and Donnelly, it came as no real surprise to see the visitors double their advantage after only 9 minutes when the Queens defence failied to clear a ball into the box and Donnelly was able to force the ball home from 8-yards out. To be fair at that stage Stranraer were well in control and Queens were finding it difficult to have any meaningful possession of the ball, and for the opening quarter of the game, the away team looked very confident in all they did. 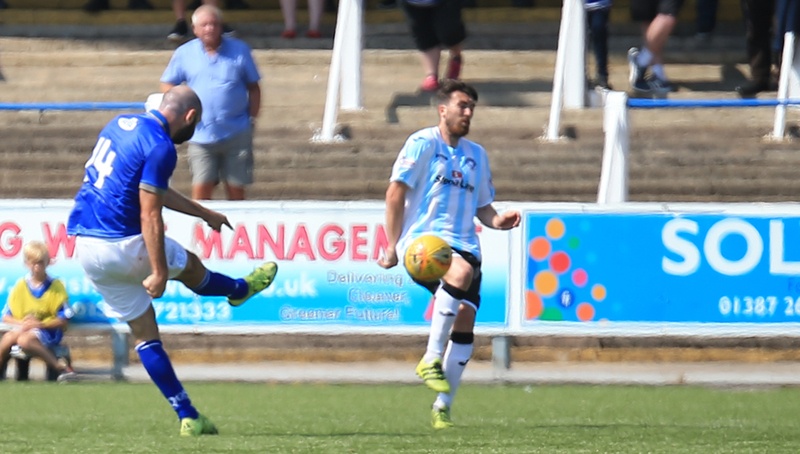 There were signs that Gary Harkins could make a difference if he was able to get on the ball more often, but Stranraer were wary of his ability and closed him down at every opportunity. A nasty clash of heads saw Kyle Jacobs leave the field with blood streaming from the wound, although thankfully after just a few minutes he was able to resume, bandage in place. 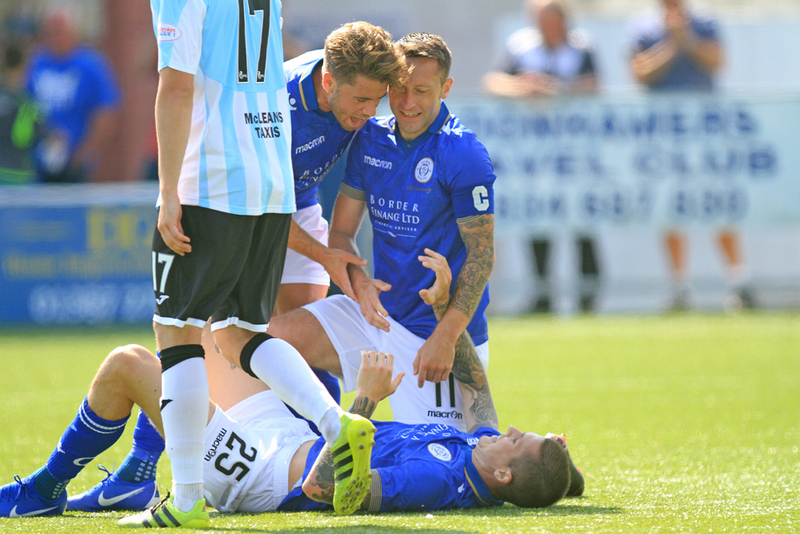 Queens first shot in anger came from Stephen Dobbie but it was a comfortable save for Stranraer number one Max Currie, who up until that point had been a virtual spectator. With Queens struggling to find any cohesion or rhythm to their play it appeared as though the visitors would head into the half-time break with their lead intact, but suddenly from absolutely nowhere, in an explosive 3 minute spell, Queens came from behind to establish a half-time lead of their own. Firstly after a shot from Dobbie was blocked, the ball sat up nicely for Gary Harkins to blast home an unstoppable half volley to open his Queens scoring account, and then a minute later the sides were level when a quickly taken free-kick by Harkins saw Stephen Dobbie spin away from the defensive wall and drill a low shot under Currie. Then quite remarkably 2 minutes later Queens were ahead when Harkins produced a delightfully disguised pass to allow Lyndon Dykes to sweep a low shot past Currie from around about the penalty spot. There was just enough time for Stranraer to re-start the game before referee Beaton brought to an end a truly unbelievable first 45 minutes, and anyone nipping out to get their pie and Bovril early would have been extremely disappointed. Queens made a change at the break with Josh Todd replacing Kyle Jacobs, a switch that saw Owen Bell move into central midfield alongside Harkins, with Todd operating down the left and Andrew Stirling moving to the right. The second period got off to a low key start with most of the play taking place in the middle areas of the pitch although with Harkins` awareness and ability to find a telling pass, Queens slowly began to ask more questions of the visiting defence. A sublime pass from Harkins - that is a phrase I am certain will be used many times this season - opened the way for Dobbie to have a run at the defence, but on cutting back inside he was crowded out and the chance had gone. The visitors were still well in the game and they went really close to drawing level when a powerful low drive from Anderson beat the dive of Leighfield and smacked against the near post with Donnelly unable to convert the rebound, and moments later a more powerful drive from Anderson was punched away by Leighfield as Stranraer once again raised their game. On 64 minutes Queens increased their advantage when a speculative cross from the right by Andrew Stirling looped up and over Currie and into the far corner, only Stirling will know if he planned that effort, but in any event it gave Queens some breathing space for the first time in the game. 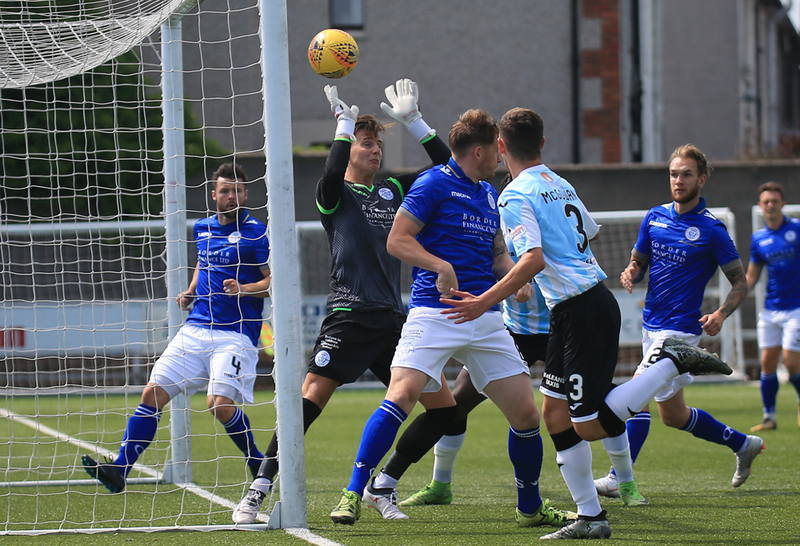 Lyndon Dykes went close to adding a fifth following good work from Todd, but `keeper Currie had his angles right and parried the shot to safety. 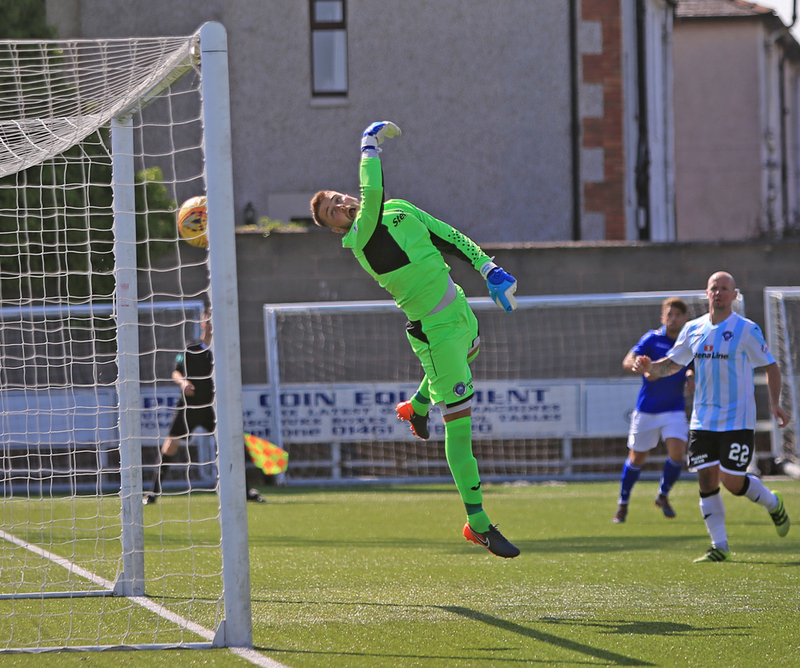 To their credit Stranraer continued to play some neat, attacking football and after winning a free-kick, Leighfield was well placed to save comfortably from Lamont`s set-piece attempt. Substitute Elliot did well to work an opportunity for himself, but again Leighfield saved easily. With 10 minutes to go the tie suddenly got more interesting again when a fine flowing move that cut through the centre of the Queens defence allowed Turner to finish well, but the two goal lead was re-established three minutes from time when Stephen Dobbie smashed a low shot into the bottom corner following a precise cross from Stirling. 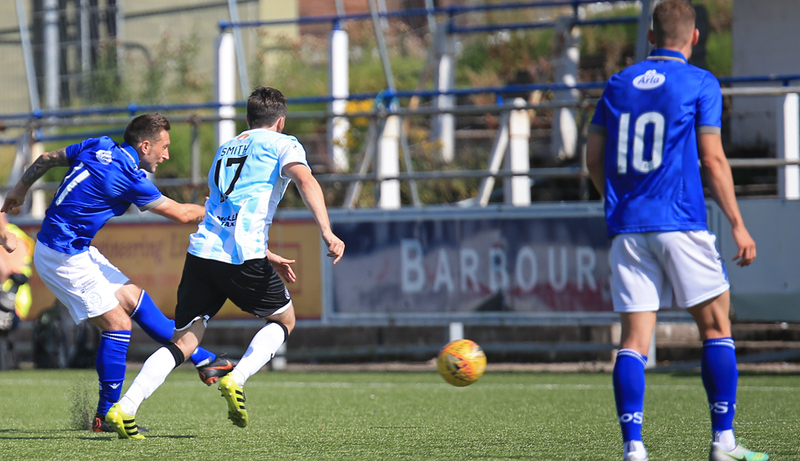 The last action saw Queens make two late changes with Stirling and Dykes being replaced by loan signing Callum Semple, and Declan Tremble respectively. So Queens got their Betfred campaign off to a winning start, but only just, and the home fans in the somewhat disappointing attendance of just 803 were probably much relieved as it wasn`t looking likely 9 minutes into the game.